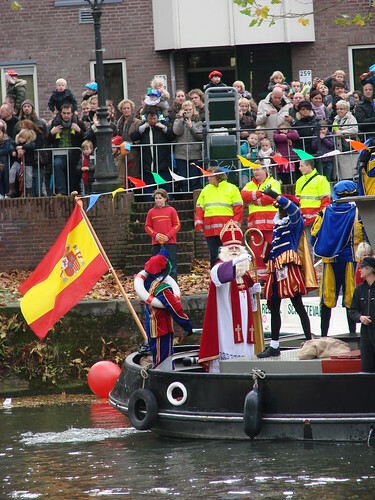 Sinterklaas arrived in the Netherlands from Spain today. We headed over to see his arrival, along with seemingly half the population of Utrecht. He’s a popular man with screaming fans. 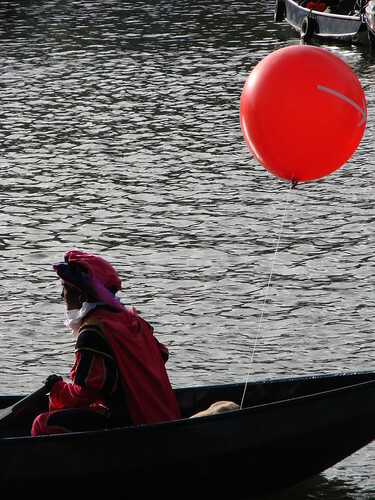 This entry was posted in Uncategorized and tagged holidays, NaBloPoMo, photos, Sinterklaas, Zwarte Piet by Alison. Bookmark the permalink. 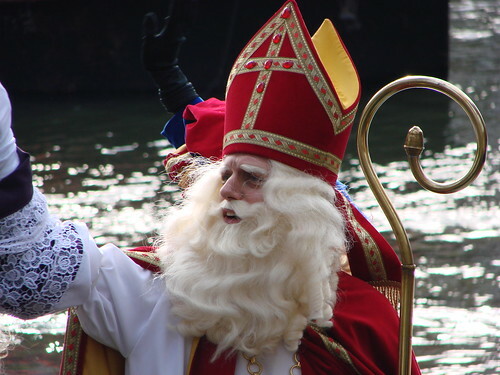 Oh my, So you went all out for Sint Nicolaas! Well it will take some time for me, btw 6 Euro for pumpkin puree! Aye, well I am going to try and make my own. I will keep you posted. Are you doing Thanksgiving? We’ll probably do a scaled-down Thanksgiving this year. We did the full thing last year for some Dutch friends. I think it will just be the two of us this year (the full turkey is also unbelievably expensive), so we’ll just do a part of a turkey. I’ll probably make cornbread dressing and pecan pie, though, just because I’ve been in the mood for some. Good luck with your own Thanksgiving plans! I hope it’s as well-received as ours was last year. I saw his arrive on television this year. I wish I could have seen it in person but it was still fun. I didn’t realize they televise it! Do they show his arrival in different cities or just the arrival in Amsterdam? It even makes Santa’s arrival in parades seem a bit tame!